Still, my blog is not popular with more followers, but I want to know who my readers are, where did they find my blog, what they like/ don't like and what they want to see. Why not, use this opportunity? Since we are done with the background, let me tell you what this is all about. 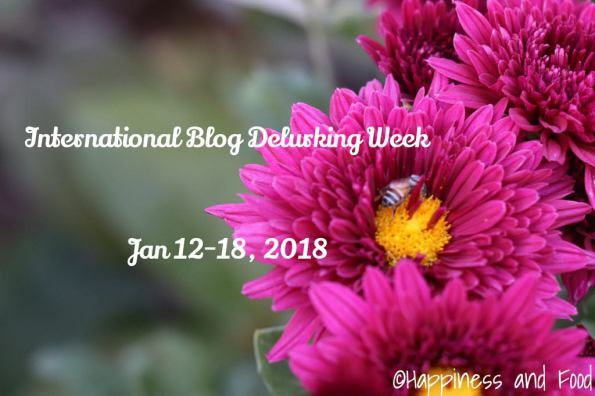 International Blog Delurking week is about appreciating or just mentioning that you read my post. Please leave a comment simply that you are here or take one step forward and let me know what you don't like on my blog or what you are looking forward to reading on my blog. Let me know what you love to read more here. Posts about Parenting? Books? Travelogues? Social issues? ANything else? Linking this to Parul's post on International Delurking week.